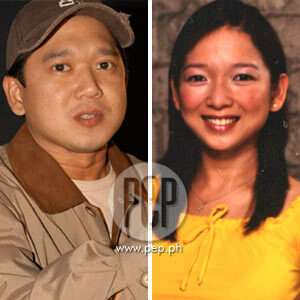 Siblings Herbert (left), Hero (not in photo), and Harlene (right) Bautista told the mediathat they did their best to fulfill their mother's every wish before she died. "Mama has alreadycome to her Maker where she is safer." This was Harlene Bautista's text messageto her friends and colleagues in show business. Harlene, togetherwith her brothers Herbert and Hero, is now grieving over the death of theirmother, Rosario "Baby" Maclang Bautista. According to www.abs-cbnnews.com, Rosario Bautista, 60, died of heart failure and complications due to diabetes lastMonday, March 3, at the De Los Santos Medical Center in Quezon City. She also suffered from kidney trouble and was undergoing weekly dialysis before she succumbed. Mrs. Bautista was a veryresponsible mother to her children, especially in guiding theircareers. And togive back to their mom all her hard work for them, the three siblings toldABS-CBN News that they did everything to grant their mother's every wish. Hero even said, "We gave her all what shewanted before she died. We love her somuch." Recalling their last happiest moment with their mom, thebirthday party organized for her last year, actor turned politician Herbertsaid, "I know she's happy because practically everybody was there on herbirthday." Harlene's husband, actor Romnick Sarmienta, describedhis experience with his mother-in-law. He told ABS-CBN News, "She was very kind. She was like a real mother to me." Actor-director Herminio "Butch" Bautista stayed by his wife's side until her last breath. Her remains lay in state at the Arlington Memorial Chapel in QuezonCity.